Kay has been ill off and on for the last 10 years but basically couch/bedridden for the last 1 ½ years. I know that birthdays are hard for her as they are a sign of time passing and realisation of how long she has been ill. I had no idea what to get her and one of the things that I find really hard for chronically ill people is the feeling of being forgotten or missing from society. I wanted more than anything for her to know that she counted. I asked some friends on Facebook and they spread the message and I also asked in the LDUK Online Community. I have been overwhelmed by the kindness and lovely messages people sent and some of them brought tears to my eyes. 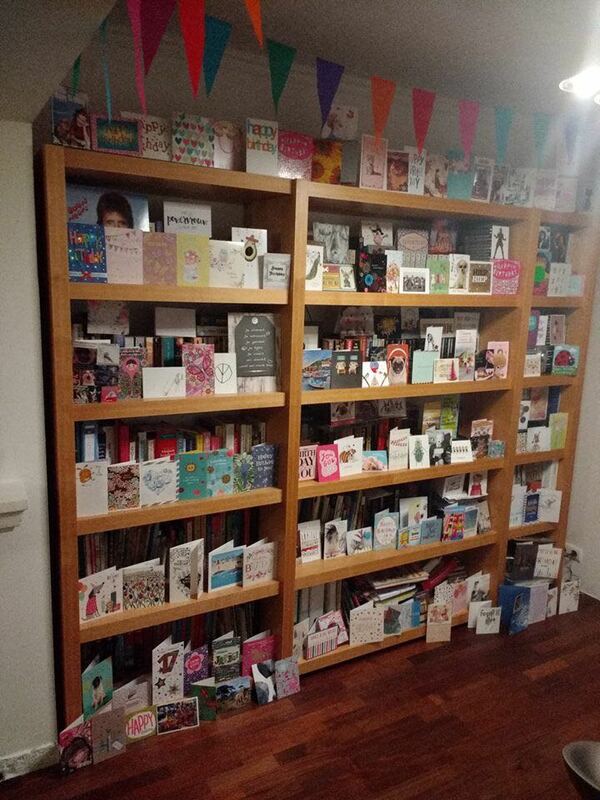 We had 198 cards from all over the world. Thank you to everyone who sent Kay a card. 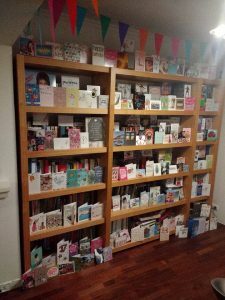 I would love to start a ‘Kay’s Cards’ organisation so that more children with Lyme can receive as many cards as possible. It’s a terrible disease in every way as many people aren’t believed which makes their isolation so much worse.